The definition of the traditional workplace is constantly changing as employers across Australia and around the world open themselves up to the concept of remote roles. Remote roles not only save businesses time and money, but they can open up all kinds of wonderful opportunities for professionals with specialised skills who are geographically dispersed across the country. 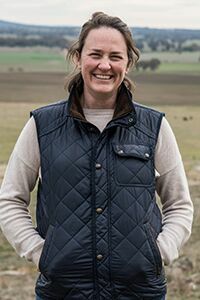 Charles Sturt University (CSU) alumna Jo Palmer is a woman who recognises the growing opportunities for businesses and skilled professionals in the evolution of remote roles in regional communities. Jo is the founder and managing director of Pointer Remote Roles, a start-up that aims to “employ the best person for the job regardless of where they live”. As today’s workforce moves towards more flexible working hours and locations, Pointer focuses on bridging the gap between companies and skilled workers based in regional Australia. Jo describes her business as a matchmaking platform, but for remote workers. Pointer connects candidates with employers who are looking for their skillset. It gives employers the opportunity to engage with not only people from the city but also the network of highly qualified and experienced professionals who live in regional, rural and remote areas of Australia. Pointer evens the playing field for professionals looking for jobs that can be undertaken from home. What course did you study with CSU and what were the highlights or your university experience? Bachelor of Education (Primary) in Wagga Wagga. Highlights were definitely living on campus in my first year and the friendships that I made. How has your uni degree helped you get where you are today? Were there any transferable skills that you learned through your study that have helped with your business? I believe having a degree, regardless of what it is majoring in, is a valuable asset to be able to show any employer. It shows that you can commit and complete a task or project to a level that is required. I couldn’t believe how transferable my skills were from a classroom to business. An education degree and experience in schools gave me a plethora of skills that have been incredibly valuable to me in business. Being able to manage time and people are vital skills in managing a business and its clients, and spending time in a classroom gives you plenty of opportunities to hone those skills. Have you always lived in a regional area and have you experienced any challenges finding employment in a rural or remote area? I grew up in a regional area (Jindabyne) and went to boarding school in Sydney. I’ve also spent time living in cities and regional areas in the United Kingdom and the United States, and it is undeniable that there are some challenges to finding employment in rural and remote areas. But improvements in technology and internet connection (for some) has meant that living in a rural or remote area shouldn’t mean that you are professionally isolated. Progressive companies are looking to remote employees all over Australia, in particular regionally based businesses, as they have previously been restricted to hiring people in their location. I think with the change in mindset that is occurring (slowly!) across the business world, that remote work is only going to grow. What are some of the barriers faced by jobseekers in regional and remote areas when it comes to finding employment? Obviously, jobseekers with skills and experience that are hands-on face different challenges to those who have the ability to work from anywhere. I think a major challenge for professionals with skills that would allow them to work regionally has been the lack of opportunity to connect with open-minded businesses who are looking to fill roles. That’s what we are trying to help fix. What triggered your decision to pursue your own start-up? Were there any challenges in the early days of your business? As with many start-ups, a change in circumstances is generally the trigger. For me it was having my first baby. My priorities changed and I was keen to pursue what working for myself completely was really like. There are challenges every day, not just in the early days! How does Pointer Remote Roles address job shortages in regional and remote areas? I believe that we are assisting people with professional skills and experience to access roles that they may not have previously been able to access physically. I think the big difference that we are seeing is that regionally based businesses are able to grow by giving them access to professionals who they may not have previously been able to attract to their physical location. This means that as their business grows, they are able to employ more people in their physical location. How did you identify the need for such a service in regional communities? Through the needs of my own business Agri Alliance, a sponsorship and event management company that focuses on the agriculture industry that I cofounded with a friend. We were discussing the fact that when we grew, we weren’t restricted in who we were hiring by their location. I realised that if our small company could benefit from remote employees, others would too. The fact was, there wasn’t an easy way to match candidates and businesses in the marketplace. What types of businesses/organisations use your service? The employers that work with us through Pointer are progressive companies that realise that the location of a fabulous employee shouldn’t matter. We have small- to medium-sized businesses from all over Australia through to corporate organisations in the big cities. Around how many jobseekers are registered users of the service? We currently have over 300 professional candidates registered with us. What are some of the benefits of remote roles in today’s workplace? The list is endless! Flexibility, work–life balance and increased economic benefits for both employer and employee and the communities they live in. How important is flexibility in the workforce of the future? improving local economies by local spending which in turn improves the national economy. How can jobseekers connect with future employers? By registering with Pointer of course! What are your tips for people in remote roles who want to feel more connected and maintain strong professional relationships? Participate in the workforce. It may be through paid part- or full-time work or it may be voluntary, at the local library or school canteen. Start a monthly coffee date with people and ban talk around family and the weather! Listen to podcasts and discuss them with other like-minded people. If you can’t do that physically, find them online. Just being involved is the best way to stay connected. What is your best advice to employers considering hiring staff in remote roles? Why restrict yourself to hiring a jack-of-all-trades who happens to live in your town? If you have a budget to hire someone for three days a week, then why not employ two or three part-time remote employees who are actually skilled and experienced in the role you want to fill? Yes, that may take away a job from someone in your town, but it may be filled with a candidate from another town where that will benefit their community. And who knows, someone from your town may be hired remotely by a company somewhere else! The technology is there and the professionals are ready to work. Don’t fall into the trap of thinking, just because you can’t see the employee sitting at their desk, that they are not doing their job. Give them goals and KPIs [key performance indicators] to hit, and you watch, you’ll get more out of a remote employee than you’d ever imagine! A CSU business degree will give you the versatile skills you need for your future career. You could also explore career flexibility through roles in the communication and creative industries or in information technology, computing and mathematics. Whether you want to be a qualified graphic designer, communication professional, IT developer or even launch your own start-up, CSU has the degree to get you there. And before you start your remote career, why not choose to study online with Australia’s most experienced online university? Apply now.